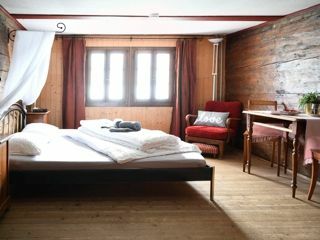 Bed and breakfast in: Family room CHF 140.- Twin bedded room CHF 60.- Lunch or dinner CHF 19.-, packed lunches nini/maxi CHF 10.-/13.50, Self catering CHF 5.00 (if you book half board you can use the kitchen free of charge) All prices are per person per day incl. tax and VAT. Starting from Brunnen by bus Nr. 2 (Auto AG Schwyz). direction Küssnacht to bus stop Gersau / Rotschuo. Starting from Küssnacht by bus Nr. 2 (Auto AG Schwyz). direction Schwyz to bus stop Gersau / Rotschuo. 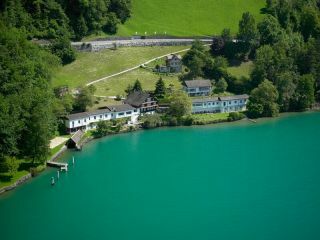 You walk from the Rotschuo bus stop about 100m in the direction of Vitznau.